After more than a decade of development and data-gathering -- including breast scans on nearly 700 women and 79 patents issued -- the U.S. Food and Drug Administration has approved a breast-cancer imaging system invented by a University of Rochester Medical Center professor. FDA approval of the breast scanner is the latest in a long line of URMC technologies that have been licensed and marketed, including cancer and pediatric vaccines. The professor, Ruola Ning, Ph.D., is president and founder of Koning Corporation, a URMC startup company. The FDA’s action allows Koning to begin commercial distribution of its Koning Breast CT (KBCT) system. Koning’s medical device passed the FDA’s most stringent premarket approval process, which requires extensive clinical study. Currently, the KBCT is not intended to be used for breast cancer screening, or to replace mammography. It is for diagnosing cancer in women who have signs or symptoms of the disease, or who have abnormal findings after a standard screening mammogram. For these more complex cases, the KBCT was found to be safe and effective for diagnostic use. Invention of the breast scanner started in a small lab tucked away on the third floor of the URMC after Ning joined the University in 1989. He received his first patent about 10 years later for the cone beam CT technology. It disperses x-rays in the shape of a large cone instead of in narrow beams, allowing the whole volume of an organ to be scanned in a single rotation. Over the next decade many people aided in further developing of the technology. Meanwhile, the cone beam CT field expanded. Others have designed devices for use in dentistry and orthodontics and for interventional radiology. However, Ning believes the cone beam CT technology is the first 3D device designed specifically to image the breast without having to compress the breast tissue. Image quality is vital to diagnosing lesions in breast tissue, particularly dense breasts, and 3D images present fewer visual barriers. The KBCT creates clear, high-resolution, high-contrast 3D images without sending radiation through the entire chest region. The KBCT images are capable of characterizing suspicious tissue and highlighting very small lesions, which are sometimes more treatable. Koning’s scanner is more comfortable for women, too. A patient lies on her stomach on an ergonomic examination table as one breast at a time is suspended through an opening in the table, with no compression. (Conventional mammography requires the technologist to pull and flatten the breast during the scanning process.) The novel, cone-beam shaped radiation source is positioned beneath the table to avoid exposing the chest and torso, as it captures hundreds of images in about 10 seconds. The radiation dose to the breast is comparable to that of diagnostic mammography, Ning said. According to a September 2014 FDA Consumer Health Information report, 3D images are expected to change the landscape for diagnosing breast cancer because they allow doctors to easily look at the entire interior structure of the breast. The drawback for mammography, which is two-dimensional, is that it sometimes displays images that contain overlapping tissue and shadows, which can hide tumors. For that reason, imaging scientists have been actively seeking alternatives for mammography for several years. Two other technologies being developed include 3D ultrasound (which requires no radiation) and breast tomosynthesis, which is already FDA-approved. Tomosynthesis artificially creates 3D images from an original set of 2D images and requires breast compression during the scan. To prepare for FDA approval, Koning sponsored clinical studies starting in 2006 and partnered with several institutions to evaluate the imaging system. Partners included Avice O’Connell, M.D., director of Women’s Imaging at UR Medicine; Elizabeth Wende Breast Care in Rochester, N.Y. with investigator Posy Seifert, D.O. ; University of Massachusetts Medical School in Worchester, Mass., with investigator Andrew Karellas, Ph.D.; and Carl D’Orsi, M.D., director of Breast Imaging Research at Emory University in Atlanta. Investigators collected KBCT scans on 682 women and reviewed them for image quality and other factors. Cases included women with healthy breasts as well as those with known or suspected cancers shown on mammograms. Researchers compared scan results, and presented data on the Koning system at the Radiological Society of North America (RSNA), the world’s largest annual meeting for radiologists, and the Association of University Radiologists meetings. O’Connell and the team also published several studies in peer-reviewed medical journals, assessing results on image quality, radiation dose, patient comfort and safety, and the ability of the KBCT device to evaluate biopsy-proven cancers. Etta Pisano, M.D., a radiologist and expert in breast cancer at the Medical College of South Carolina, led the final study on which the FDA based its approval. In that investigation, 18 radiologists compared more than 230 KBCT scans to conventional mammography scans. Based on the radiologists’ findings, the FDA found that the KBCT was safe and effective for diagnostic use. “This is exactly the type of development we hoped for when we began a concerted effort many years ago to invest in translating research into clinically useful products and services,” said Stephen Dewhurst, Ph.D., vice dean for research at the UR School of Medicine and Dentistry. 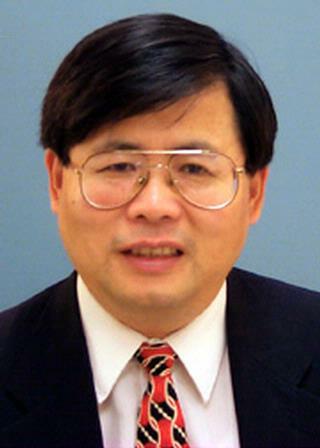 Ning, a professor of Radiology, founded Koning in 2002. The UR then licensed the technology to Koning to make, use and sell the devices. In addition, the University holds a small equity share in the company, located in West Henrietta, N.Y. Ning also holds an equity share. The University holds 79 patents on the Koning breast CT and the cone beam CT technology (from the U.S., Europe and China), with 19 additional patents pending, and Koning has invested nearly $2 million in patent prosecution, said Johnny Fahner-Vihtelic, senior licensing manager at UR Ventures, which develops University innovations into products and services. Since UR Ventures (formerly known as the Office of Technology Transfer) opened in 2001, it has not yet seen other FDA approvals on medical devices associated the UR. Currently, though, a handful of innovative UR products are deep into in the process of FDA-required data collection, and could gain FDA approval in the near future, Fahner-Vihtelic said. Prior to FDA approval, Koning received similar regulatory approvals from the European Union, Canada and Australia. The company also anticipates approval in 2015 from regulating authorities in China. Small Business Innovation Research (SBIR) program. (See funding notes below.) The company has also received significant venture funding from institutional and angel investors. Please note: The Koning breast CT technology and system has been funded in part by NIH/National Cancer Institute SBIR grant 1R44CA103236 and SBIR bridge grant 2R44CA103236-05. These grants benefitted from the patents licensed from and developed by the University of Rochester under NIH/NCI grant 1R01CA085904, which developed the concept for cone beam CT, and grant 1R21/R33CA094300 that explored the cone beam CT concept’s potential for improved breast imaging. The DOD grant was awarded and administered by the U.S. Army Medical Research & Material Command (USAMRMC) and the Telemedicine & Advanced Technology Research Center (TATRC), under contract number W81XWH-09-1-0441.